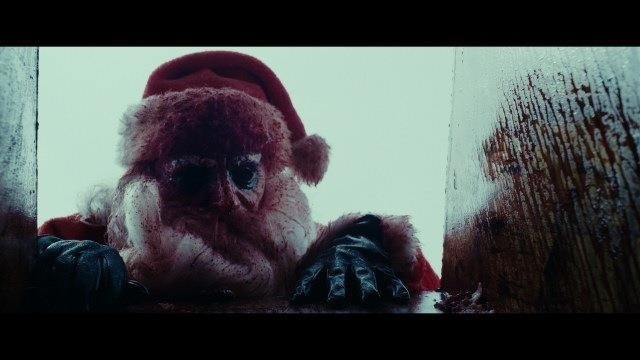 Silent Night is a loose remake of the cult classic Silent Night, Deadly Night originally released in 1984. Outside of a few homages these two films have nothing in common outside of a killer dressed as Santa and of course the Christmas setting, but the original Silent Night, Deadly Night wasn’t the first horror film set on Christmas nor was it the first to have a killer dressed as Santa. I’m sure most people already know the controversy the original film stirred up, but this isn’t about the original so I’ll refrain from getting into it. The remake won’t stir up the same controversy, actually it won’t have any. But as I stated in the opening the two films have nothing in common and had Silent Night gone under a different title most wouldn’t even link it to the original and if they did it would only be due to the homages. The plot is totally different as are the motives for the killer in each movie. 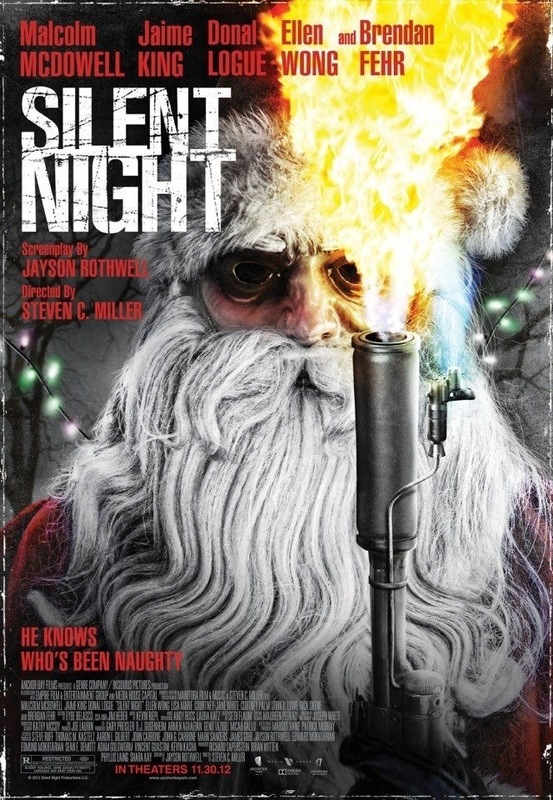 There was a lot of excitement over the release of Silent Night due to some people hailing the original as one of the great horror films and as much as I enjoyed the film there is no way it’s one of the greats, which is reserved for such movies like Night of the Living Dead and Bride of Frankenstein and others hail Silent Night, Deadly Night as nothing, but vile trash and welcome a remake. 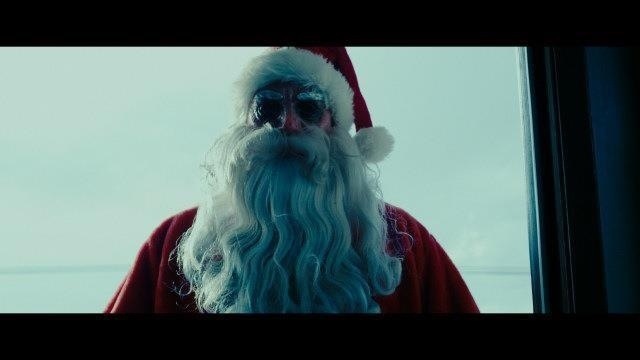 As much as I enjoyed the original I have to admit I was looking forward to Silent Night as it had the potential to be a lot of fun, but somewhere along the way the fun I was hoping for ended up being boredom at times. 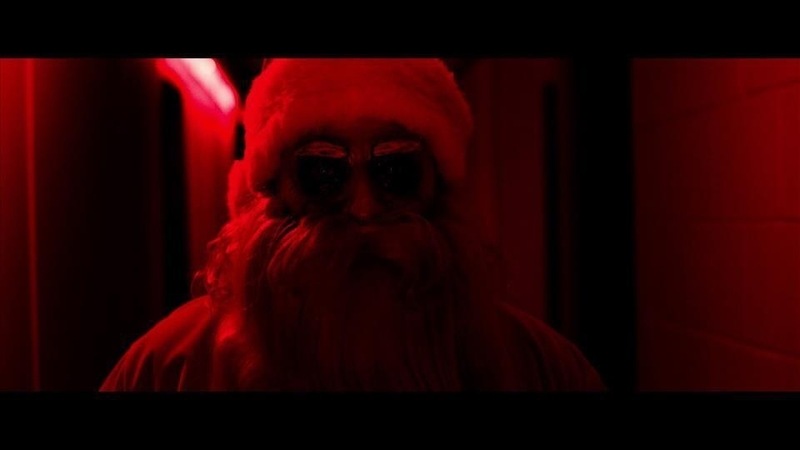 Set in a small city in Wisconsin, its Christmas Eve and a killer dressed as Santa Claus is on the loose picking off the citizens as the police frantically search for the crazed killer and well that sums up the entire plot. The script by Jayson Rothwell was quite poor and while slasher flicks aren’t know for their writing this was just poor and impacts the movie in a negative way. The characters are lifeless and dull and are better off dead. There is a decent attempt at creating some depth for Aubrey Bradimore (King), but in the end it feels like filler scenes and had they been removed nothing would feel like it were missing. Any scene with the priest was cringe worthy and this was some of the weakest writing. I know complaining about a screenplay for a slasher movie might sound silly, but the script was quite poor with no real sense of plot and very dull characters. 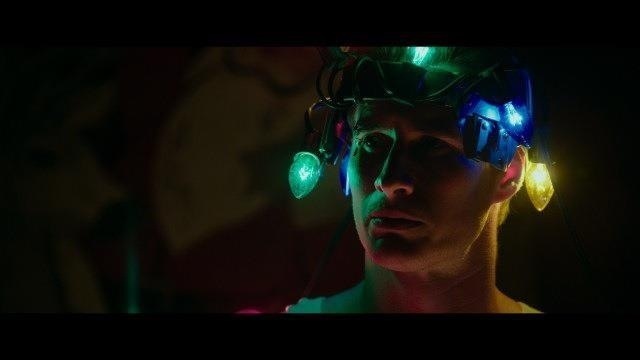 While true most slasher films aren’t know for their plots, but this one feels like it has even less and sure most slasher films have characters that are better off dead, but the characters here were among the weaker ones this type of film has to offer. While there are some decent ideas presented, but Rothwell doesn’t handle them very well and the script again is quite poor and derails any potential Silent Night had. As I stated this film has very little in common with the original and I wouldn’t even consider it a remake. There are some homages such as garbage day, which gave me a laugh and there is also a scene where a character visits his catatonic grandfather who suddenly snaps out of it and warns of the danger of Christmas Eve, which while a nice homage to the original, but feels really, really out of place and was just there for the sake of it as it adds nothing to the plot unlike the original where it added to the movie. Again I know complaining about a script is a slasher movie might be silly, but the film was poorly plotted with mostly boring and lifeless characters. Director Steve C. Miller does a nice job, but is given very little to work with. Based on the poor script there really is only so much Miller can do, but to his credit he does deliver a well-made movie with some really cool death scenes. The suspense is a bit light and too many scenes take place during the daytime, which does hinder the movie a bit. The pacing can be a little sluggish, which I think is more due to the script since lack of action hurts the movie since the characters aren’t strong enough to carry the movie. But overall I really didn’t have much of a problem with the direction as a whole, but like I said with the subpar script not much really could be done. The performances range from weak to good with the leads being the best. Jaime King is excellent in her role and despite not having a lot of depth since her story isn’t explored enough, but King still handles everything well. Ellen Wong steals the show though and the film would have been better served if she had more screen time. 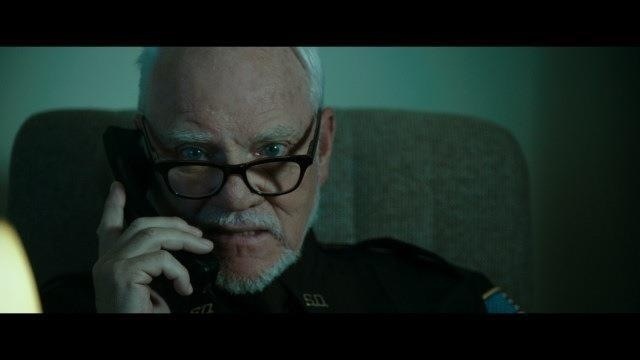 Malcolm McDowell like always is a blast as he totally hams it up. Much of his dialogue is silly, but McDowell made it work. 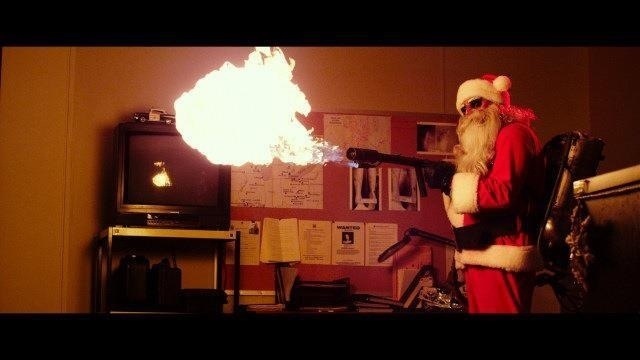 Overall Silent Night has its moments and perhaps I’m being to harsh, but I just thought this was a movie that could have and should have turned out better. Perhaps with a better script it could have. In time I’ll revisit this and see if my opinion has changed and I totally get the appeal the movie had, but for me it just didn’t work.